The Middle East is like a powder keg ready to explode. The region is rife with conflict from the Iranian Nuclear conflict, the civil war in Syria, the ever-present tension between the Palestinians and the Israeli’s, to the war in Yemen, and the list goes on and on… There are so many complicated dynamics at play in the Middle East, and the major super powers are all taking various sides to push their numerous agendas. It all seems to be utter chaos. Although it seems like there is no way to make any sense of all the chaos in this region, one may be very mistaken. Through prophecies foretold thousands of years ago in the Bible, we can begin to make sense of the complex events unfolding presently in the Middle East. Although there are numerous topics that could be expounded upon through the lens of Bible prophecy, the one I will focus on today is the Peace Treaty foretold by the prophet Daniel. Through this prophecy, we know that there will be a peace treaty that is seven-years in length that the anti-Christ will be involved in. In order to make sense of this prophecy, we must look at current events and become familiar with a little bit of the history of modern-day Israel. Israel was destroyed by the Romans in 70 AD. For the next almost 2000 years, they would be without a nation. It wasn’t until May 14, 1948 that the nation of Israel was re-born as the conclusion of the drawn out implementation of the Balfour Declaration signed in 19171. Ever since the nation of Israel was reborn, there has been constant conflict between Israel and her Arab neighbors who do not want the Jewish state to exist. In fact, the day after Israel declared her independence, she was invaded by Egypt, Syria, Jordan and Lebanon in an effort to wipe Israel off the face of the map. However, God had other plans; not only did Israel end up defeating the invading forces, she actually gained territory from Jordan that Jordan had been illegally occupying for many years. Due to this constant conflict, there have been numerous efforts to bring peace to Israel and her Arab neighbors. 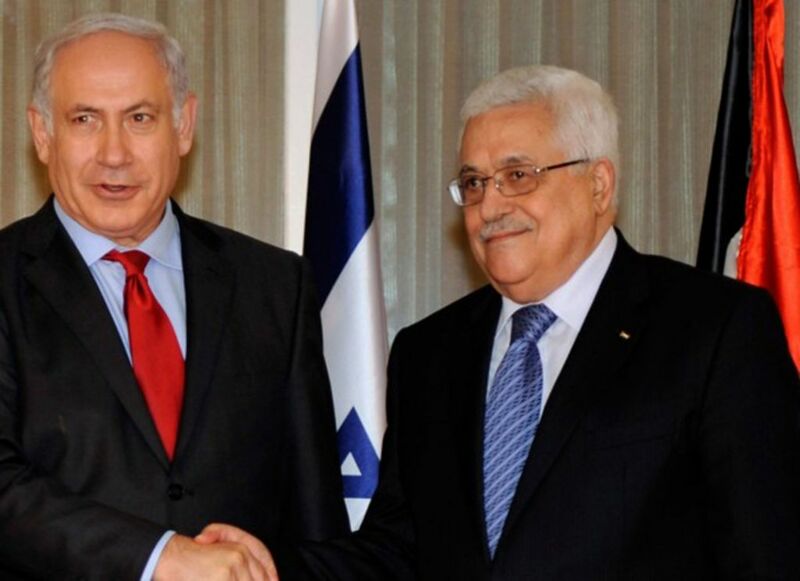 The peace talks historically have involved the Palestinians and the Israelis. After decades of negotiations, they don’t appear to be any closer today than they were decades ago. No matter how promising the talks look, they ultimately end up collapsing in failure. This has been the pattern for decades - until Donald Trump. President Trump has brought fresh ideas to negotiations as they pertain to an Israeli peace treaty. He realized that if he took the same approach as his predecessors, the talks would likely end in failure. As soon as he was sworn into office, he sent his negotiators to the Middle East where they began months of talks with Israel and her Arab neighbors. However, he didn’t just talk to the Palestinians and the Israelis; he also brought Saudi Arabia, Egypt and Jordan into the negotiations. This was an entirely new approach to the decades old problem! Trump’s team learned what each side would give, and where they would draw the line on many issues. He was slowly earning the trust of the Palestinians as an honest broker for peace. Abbas was asking him to release his peace plan after months of talks, and then suddenly on December 6th, everything appeared publicly to collapse after President Trump stated that he was formally recognizing Jerusalem as the capital of Israel, and that we would begin immediately to work on the process of moving our embassy from Tel-Aviv to Jerusalem2. This move set the Arab world on fire. Immediately, the Palestinians began to appeal to the UN, and the General Assembly ended up holding a vote condemning Trump’s decision3. Abbas started claiming the US closed the door on any further talks with the Palestinians, and even threatened war over this decision. All progress appears to have collapsed yet again. People watching the process were left scratching their heads, wondering why in the world he chose that moment to recognize Jerusalem as Israel’s capital. Eventually President Trump came out and explained his rational to an extent. Apparently during negotiations, the Palestinians claimed that without Jerusalem as their capital there would be no peace. Israel swears she will never give up her capital, and that it will be their eternal, undivided capital. Trump, recognizing that they were up against a wall and there appeared to be no hope for success because of the issue of Jerusalem, decided he was going to take it off the table. He gave Jerusalem to Israel. Since this appears to be the single largest sticking point to both sides, by taking it off the table and removing it from negotiations, Trump believes they can finally move past this issue. And he is right. Let’s look at some Bible verses to see a bigger picture of the prophesied peace treaty. This is because details of his first coming were well documented in the prophecies of the Old Testament, but they lacked the discernment to recognize the times. Jesus scolded them because they should have recognized the times. So bearing this in mind, we also can understand the times we are living in. We will take a look at some verses regarding the prophesied peace treaty and then apply the understanding to current events so that we can begin to discern the times we are living in. Jerusalem will at this time still be in control of Israel. You do not invade a city you control to capture it, so clearly Jerusalem is still controlled by Israel. All nations will be gathered against Jerusalem. This means the armies of United Nations will be involved in the invasion of Jerusalem. Clearly the Arab world is still not satisfied with the status of Jerusalem, else they would not be invading it to take part of it over. HALF of the city will go into captivity. This is important because the Palestinians insist there will be no peace without East Jerusalem as their capital. The temple mount will be shared. John was told in Revelation 11:1 to measure the temple of God, but to leave out the outer courtyard because that has been given to the gentiles. There will be a temple by the mid-point of Daniel’s 70th week. In 2 Thessalonians 2:4 we see that the anti-Christ declares himself God on the temple. We also see in Revelation 11:1 that John was told to measure the Temple of God and its worshippers. When the anti-Christ declares himself to be God, those that are in Judaea must flee to the mountains immediately. If Judaea were in Israel’s control why would Judaea be singled out from all of the places in Israel? If Judaea was in Israel’s control, then it would be under the protection of the IDF, so there would be no need to flee. This shows us that Judaea will not be Israel’s control. Interestingly, Judaea is currently more commonly recognized as the West Bank which is predominately Palestinian. Now that we are starting to see the end result, let’s apply this understanding to some current events. This will help give us understanding of how these events fit like puzzle pieces to create the picture painted by Bible prophecy. First, Trump’s decision to recognize Jerusalem as the capital of Israel – essentially giving Jerusalem to Israel – makes sense, because we know that the Battle of Armageddon is fought over the city of Jerusalem. Since you do not invade a city you control, Jerusalem will remain in control of Israel until the battle of Armageddon. Clearly in order for the Biblical peace treaty to be signed, Jerusalem would have to be given to Israel, and not divided as the Palestinians have been pushing for. Therefore, this piece of the prophecy was fulfilled when Trump made his decision on Jerusalem. Second, we see that Trump is approaching the negotiations from a more regional perspective and trying to bring multiple nations into the negotiations instead of limiting them to just the Palestinians and Israelis. In Daniel 9:27, we see that the anti-Christ will “confirm the covenant with many”. Is it possible that the many that is referenced is the many nations as opposed to just the two? Again, this prophecy begins to make sense in light of current events, and this part of the prophecy looks as though it may be fulfilled in the near future. Third, we see that Judaea will not be part of Israeli territory. Any deal that is signed is almost guaranteed to give the Palestinians the West Bank aka Judaea. However, there are many Israeli settlements in the West Bank because Israel has been trying to gain as much territorial advantage as possible before a peace treaty would be signed. The Jews that are living in these settlements will be in extreme danger when ‘abomination of desolation’ occurs. Whatever happens on that day will trigger a massive backlash against the Jews living in those settlements, so much so that Jesus told them not even to get money or clothes – just hit the ground running and run for the hills. 1 A prophecy: The word of the Lord concerning Israel. The Lord, who stretches out the heavens, who lays the foundation of the earth, and who forms the human spirit within a person, declares: 2 “I am going to make Jerusalem a cup that sends all the surrounding peoples reeling. Judah will be besieged as well as Jerusalem. What’s very interesting about these verses is that they are very specific about the areas of Israel that will be ‘besieged’ – Judah [Judaea] and Jerusalem. Besieged is defined in the dictionary as “crowded around oppressively; surround and harass”. This depicts the exact scenario we see today in the West Bank (Judaea), and eastern Jerusalem. What makes this so interesting in light of current events is that for decades, the peace talks have been centered on the pre-1967 borders. In 1967, several Arab nations attempted to launch a sneak attack on Israel. Israel ended up defeating the Arab nations so bad that she actually ended up capturing additional territory. This captured territory includes Judaea and East Jerusalem – the exact territory that the Palestinians continue to insist they will refuse to sign a treaty without, and the exact areas that Zechariah states will be besieged. This shows how specific and accurate Bible prophecy really is. Let’s assume that current events are actually fulfilling the prophecies above. Just how likely is it that this treaty will be signed soon? Is there any other evidence that points to the signing of the treaty in the near future? After all, these negotiations have been going on for decades to no avail. Is it possible that these talks will continue for a few decades to come before being resolved? These are all valid questions, so we need to look at some other interesting developments in the region. I believe that the current situation in the Middle East is creating a very fertile environment for a peace treaty to finally take root. Under the leadership of Barack Obama, the United States entered into an agreement with Iran that was supposed to prevent them from achieving the nuclear bomb by allowing nuclear inspectors to inspect their country periodically among other things. This was supposed to help ensure that they were not doing anything militarily with nuclear material and were not attempting to develop a nuclear bomb. Unfortunately, there were so many loopholes that this agreement lacked any teeth to actually accomplish the goals of the agreement. Regardless, the United States and the EU dropped sanctions against Iran as our part of the agreement. This supercharged the Iranian economy and brought in billions of dollars that many fear is being used to aid in their quest for nuclear weapons and terrorism. This poses a major problem for some Arab nations, as well as Israel and the United States – all of which are enemies of Iran. In order to understand some of the dynamics of the Middle East, one must first understand that there are 2 major sects of Islam, the Shi’ite (Shia) and Sunni. There is a major conflict between the Shia and the Sunni Muslims. Islam is comprised of about 90% Sunni and 10% Shia. Iran and Iraq are predominately Shia, and Egypt, Jordan, Saudi Arabia, Qatar and United Arab Emirates are predominately Sunni. The other Muslim nations are a somewhat balanced mix of both. The Sunni nations see Iran as an enemy, and a direct threat to their nations. This threat would become significantly worse if Iran were to obtain a nuclear bomb because it would drastically increase the military might of Iran. They do not want this to happen. As far as the United States and Israel, Iran likes to refer to the United States and Israel as Big Satan and Little Satan respectively. So the Sunni Nations, Israel and the United States all have a common enemy. Russia on the other hand is allied with the Shia nations, and is believed to have helped fund and contribute to much of Iran’s nuclear weapons program. Due to the fact that the Sunni nations fear Iran obtaining the nuclear bomb, and the belief that it is just a short matter of time before this happens, the Sunni Nations have a good reason to get into a peace treaty with Israel – especially under the leadership of Donald Trump. Israel has the strongest military in the region, and with the United States as their largest ally, a peace treaty with Israel would help secure the military might of the United States as well. Israel is our closest ally in the region and Donald Trump has made it crystal clear to the world that he stands with Israel. I have a sneaking suspicion that Donald Trump is offering them our assistance against Iran in turn for peace with Israel. To reject Israel’s right to exist would likely mean rejecting the assistance of the United States in addition to the loss of Israel’s military might. Given all the conflict with Iran, this move doesn’t make sense and seems very unlikely. I think Donald Trump’s peace efforts will result in a signed peace treaty between Israel and multiple Arab Nations, one of which will be the Palestinians. Trump gave Israel a massive gift when he recognized Jerusalem as Israel’s capital. Because Donald Trump is known as the master deal maker, I believe he will give an equally large gift to the Palestinians. I believe that there will likely also be other large benefits for other Arab nations who sign into an agreement with Israel, which will bring multiple nations in to the deal, thus fulfilling Daniel 9:27’s ‘covenant with many’. Jerusalem will remain in Israel’s control as part of the peace treaty. Much of the West Bank will be given to the Palestinians with some Jews living in this territory under Palestinian control, which will lead to the need for the Jews to flee to the mountains as specified in Matthew 24:15-21. The Temple mount will be shared so that the Jews can build their temple and begin offering animal sacrifices as prophesied in Revelation 11:1-2 and Daniel 9:27. This will place the Dome of the Rock and the Jewish temple simultaneously in close proximity. I believe this will happen in the year 2018 after Israel’s 70th anniversary. There is only so much time before Iran gets the nuclear bomb. Israel knows this, the United States knows this and the Sunni Nations know this. Time is of the essence if something is going to be done to stop Iran from obtaining nuclear bombs. This fact will put pressure on the Sunni nations to enter into an agreement with Israel. Even if they do not want Israel to exist, they can deal with that later. They know Israel is not aggressive or a threat towards them – unlike Iran who sponsors terrorism around the world including many Sunni nations. The Babylonian captivity was used as the beginning of the final 14-generation period. The next statement is pure speculation, but worth considering. Is it possible that Israel will be restored as a nation for 70 years to make up for the 70 years that they were taken away from being a nation while in Babylonian captivity? After all, the prophecy of this time period was given to Daniel while in exile, and Matthew 1 mentions this period as a pivotal event in Jesus’ Genealogy. If so, Israel’s 70th anniversary is May 14, 2018 – this year! Here we see Israel (the woman) being protected by the United States (two wings of a great eagle) for 3.5 years. (For more information, please read this article: ) I have often wondered why America only protects Israel for 3.5 years. Why not four, five or ten? Why does the peace treaty only last for 7 years? It appears that during the battle of Armageddon, our protection may be lifted from Israel. While considering this question in conjunction with Israel’s 70th anniversary, I stumbled upon an interesting idea. Again, the following thoughts are pure speculation, but I think it is worth consideration. Let’s assume that the peace treaty is signed sometime in 2018 after May 18. And let’s assume that Donald Trump were to win another election. This would mean that Donald Trump would have a little less than 7 years remaining to his term. The Palestinians might bet on the next US president being more sympathetic to the Palestinians cause than the current administration, like presidents before Donald Trump. After all, the UN already ruled in UNSC Resolution 2334 that Israel’s presence beyond the 1967 lines is illegal. All they would have to hope for is a president that is in favor of the UN like many of our former presidents. If they were hoping for a scenario like this, they would know that Donald Trump would be out of office within a maximum period of seven years. In this scenario, if a more liberal president took power, there may be a good chance that they would support the UN resolution and let it be enforced. We already know that our protection of Israel appears to drop sometime just prior to the battle of Armageddon. I do not see this happening if we had another ardent supporter of Israel in the Presidency. With all of this said, I believe it is almost guaranteed that Donald Trump will win the next election because we know by Revelation 12:14 that during this time, the United States will be standing with Israel against the world. Donald Trump has already proven to be a great protector of Israel, and has already demonstrated that he is willing to stand against the world community. 4This is exactly the kind of leader you would expect to be in power to bring about the fulfillment of Revelation 12:14. If Donald Trump is that leader, then that means the fulfillment of Daniel 9:27 cannot be far away! In conclusion, I want to state that I am not making any predictions and I am not date setting. I am looking at the prophecies of the Bible, and attempting to put the puzzle pieces together in a way that could produce the final picture we are given through prophecy. I am not saying that the peace treaty will be signed this year, I am just speculating about how events that are unfolding before us may possibly fit into the larger image and how they may lead to the fulfillment of prophecies in the Bible. I hope this information has been interesting and thought provoking, and I would love to hear your own thoughts below!